Serve up your favorite drinks in style with the Lavatera bar cart from Copper Grove. The whiskey maple frame features three open shelves and antique brass-finished hardware for a retro look. 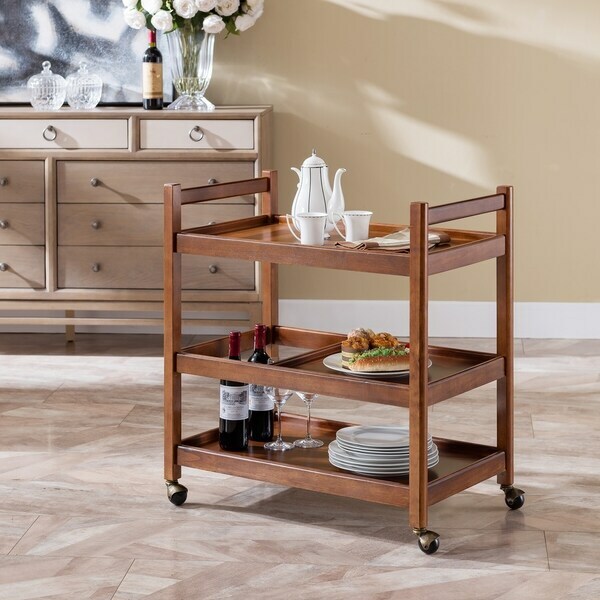 Easily transport this piece with the rolling casters and rectangular handles.